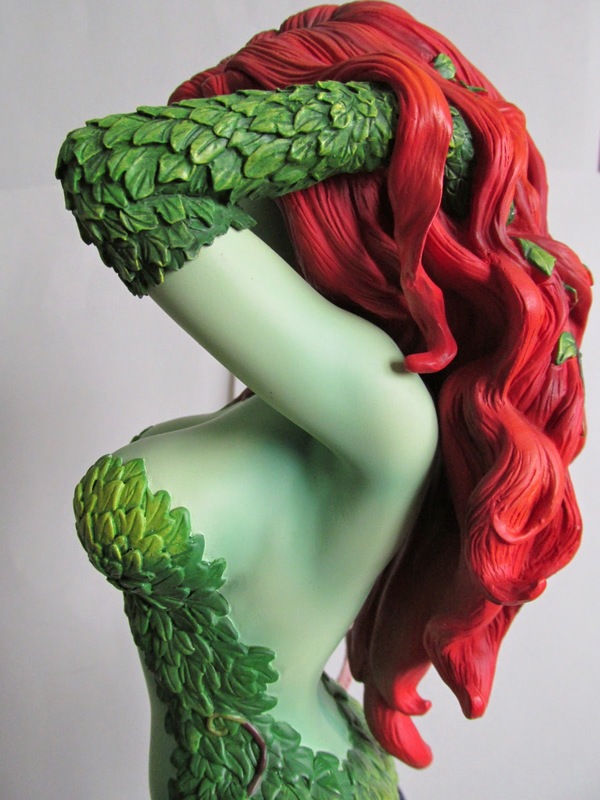 After some unforeseeable delays, Sideshow's Poison Ivy "Green With Envy" Premium Format figure is finally getting distributed throughout the world. 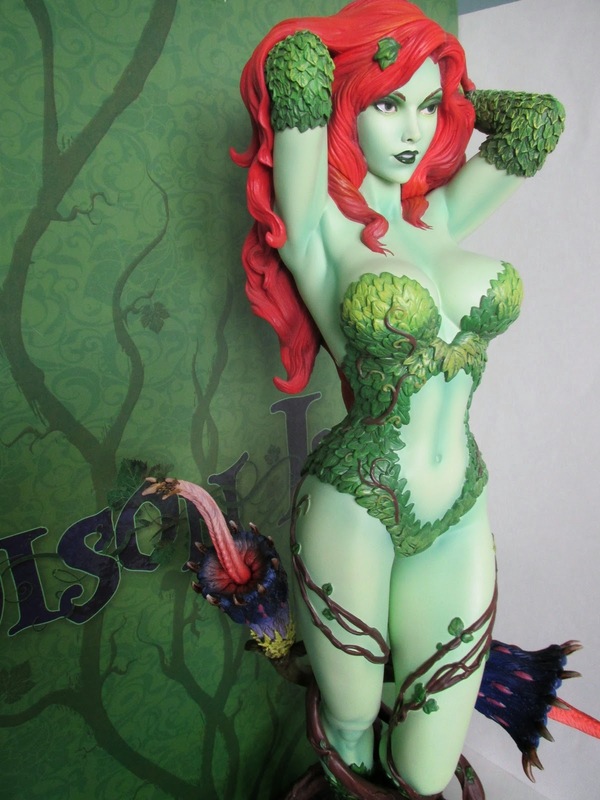 A couple of years ago Sideshow released a Poison Ivy Premium Format Figure that was painted with regular flesh tones and sold very well. 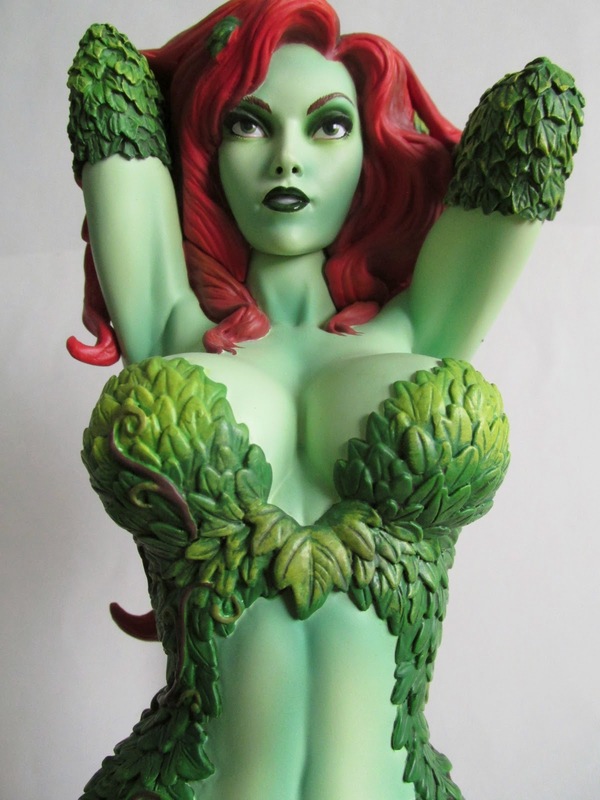 This time around, Sideshow is releasing a repaint of this same figure only this time done in her classic green color. I'm happy to say that our patience has been rewarded greatly. 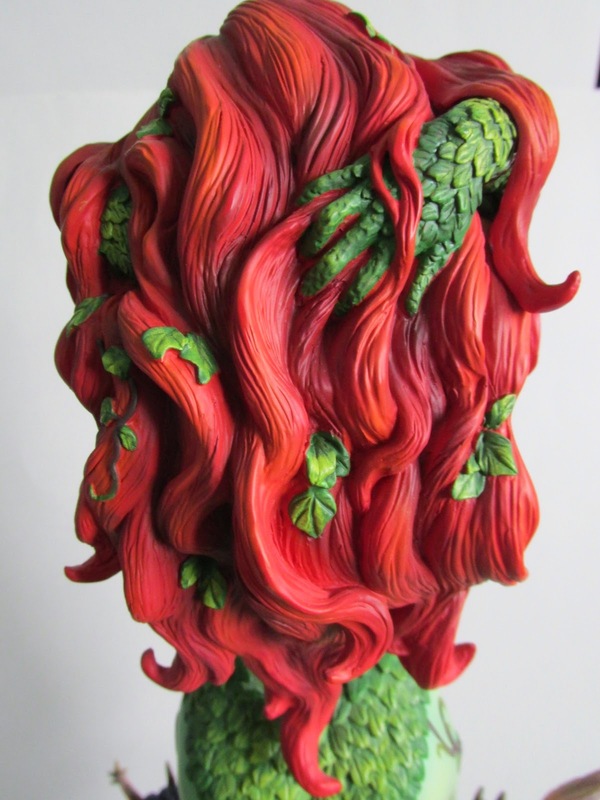 As usual with these figures, the paint and sculpting is superb and is quite a standalone piece. Upon looking at the photos on Sideshow's website, I noticed the final sculpt and some of the paint was slightly different. The final figure in hand still looks great, but you can see the final figure has dark green eyes while the preliminary photos has light green eyes. It also seems she has been given a lighter green skin color in the final product that differs with the dark green skin she has in the preliminary photos. Kind of hard to say to if that is a good or bad thing, but I'm still pleased with the overall final product. 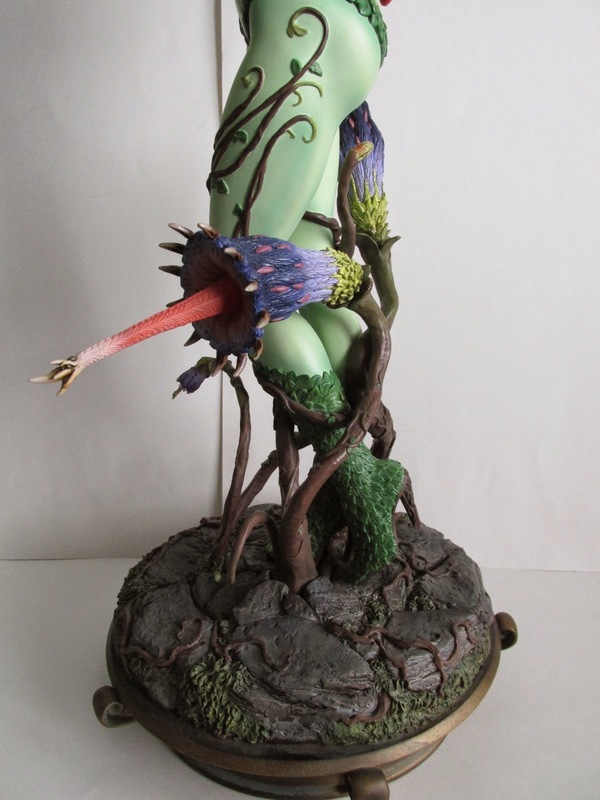 Accessories wise she comes with three different size man eating plants and a round circular base where she stands. 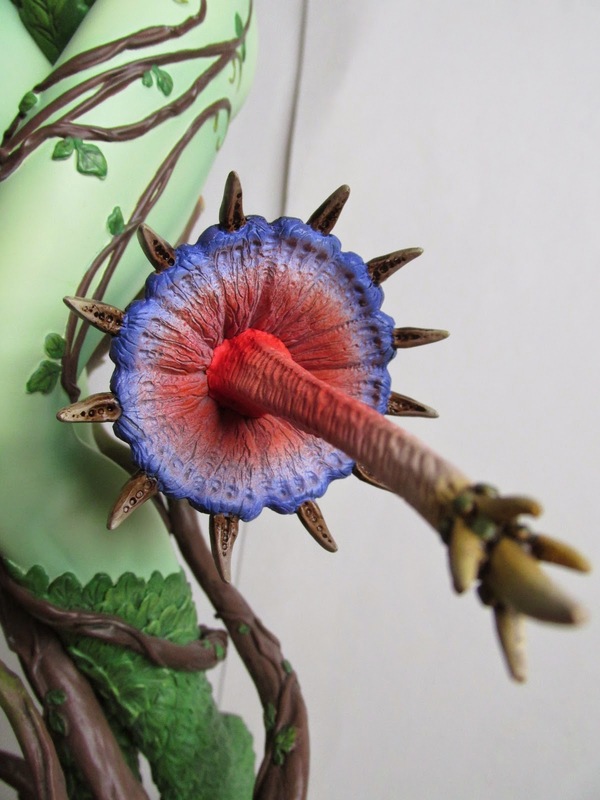 All of the man eating plants are easy to put in and stay firmly in place. 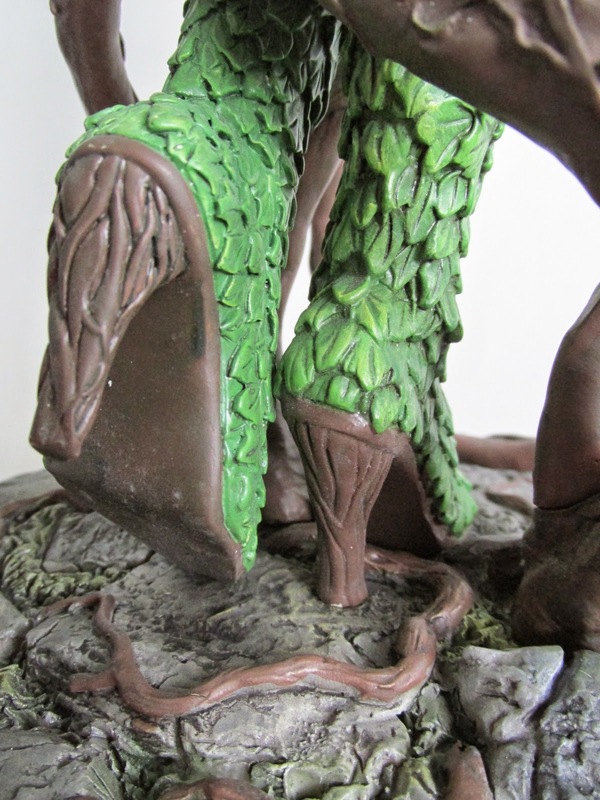 The details on this figure are quite amazing, and you can see the extreme detail that was put into sculpting all the leaves on her body as well as her highly detailed dirt base. If you like Batman and plan on getting all the DC Comics or Batman Premium Format Figures, then this is a definite addition to your collection. If you have the Harley Quinn Premium Format Figure, again this is a no brainer to get this. The question is can you wait for this to come to your door while the Port of Los Angeles figures out their union problems? You can still preorder her. Who knows how long she will be in stock. Click here!